The Finer Face Microcurrent Non Surgical Face Lifting Unit uses a totally safe and painless low-level electrical impulses to "re-program" the muscles back into shape. This in turn supports the facial skin giving you immediate results after just one treatment. The facial contours are uplifted and toned and the complexion is left glowing. In a 20 day trial period, Elastin fibers in the dermis doubles in length and are increased by 48%, collagen in the connective tissue was also increased by 14% and there was a 38% increase of circulation in the areas being treated with microcurrent. This is a proven fact the micro-current works in harmony with the body's own electrical system giving you the ultimate result every single time. 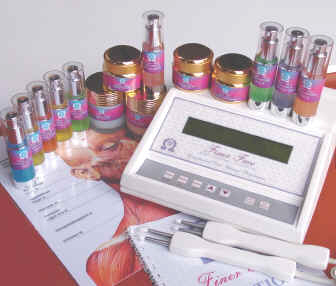 FOR PROFESSIONAL BEAUTY SALONS OR FOR WOMEN WANTING TO DO THEIR OWN TREATMENTS FROM HOME. PRIVATE OR PROFESSIONAL, WE FULL TRAIN AND CERTIFY YOU TO GET THE OPTIMUM RESULTS EVERY TIME. The Finer Face Microcurrent Non Surgical Face Lift Unit uses a totally safe and painless low-level electrical impulses to "re-program" the facial muscles back into shape. This microcurrent in turn supports the facial skin giving you immediate results after just one treatment. The facial contours are uplifted and toned and the complexion is left glowing as the microcurrent gently stimulates the circulation. "The body, is a machine which runs by electrical signals from our heartbeat and your thoughts and the Finer Face microcurrent actually mimics our body's own electrical system. Even the tone of your skin and muscles is related to your body's electrical system. The skins ability to maintain its tone and elasticity is controlled by chemical reactions within and between the cells of the skin. These reactions are triggered by electrical impulses. As the body ages, these reactions slow down and the skin loses its elasticity and suppleness. As the facial muscles are attached directly to the skin the underlying muscles begin to lose their tone which results in loose sagging skin. This treatment is totally non-invasive and in 90% of cases the client will fall asleep whilst they are receiving the Finer Face microcurrent treatment. The difference between the Finer Face microcurrent and other systems is its variable interferential cross current, special designed wave shapes and the dual tipped probes. These wave shapes are varied to penetrate different levels of the skins tissue depending on which program you select. The low current stimulates the body's own tiny currents and also avoids any unpleasant stinging that other microcurrent machines can sometimes inflict. 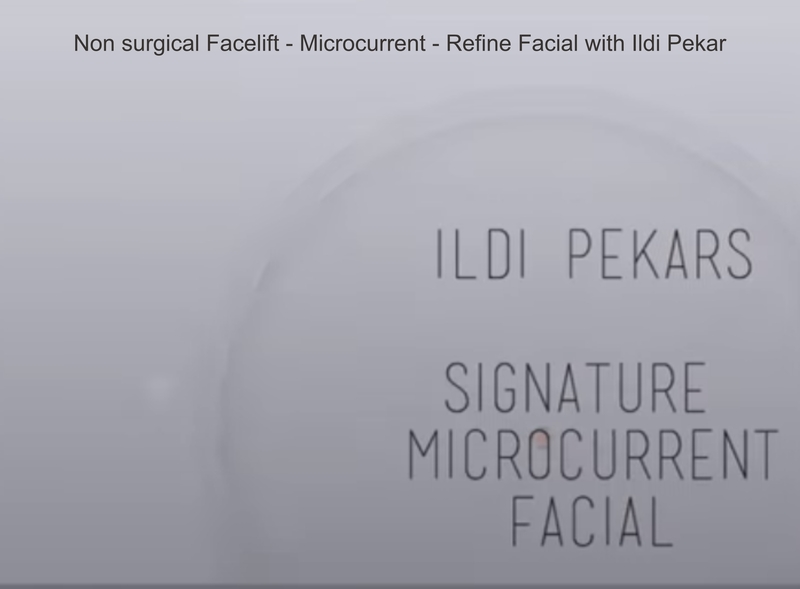 Finer Face microcurrent is the best alternative to choose prior to surgery. Fully portable "ideal for mobile therapists"
you are likely to see selling on ebay in the low hundreds. It is a professional grade, top of the line salon quality unit. The finer face microcurrent nonsurgical face lifting unit will give your business the cutting edge in facial muscle re-education treatments. We offer full certified training at your premises world wide so you have no down time at all. Send mail to info@finerface.com with questions or comments about this web site.